Oklahoma City Wedding Anniversary Shoot. 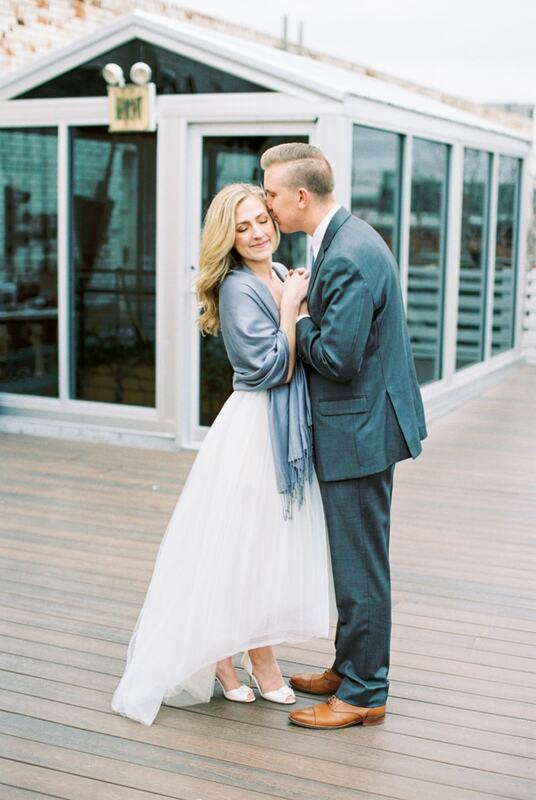 Anniversary shoots are the perfect way to commemorate the milestones in your marriage, and this styled shoot on the rooftop at Plenty Mercantile in Oklahoma City is a simple, sweet way to celebrate that special first anniversary. 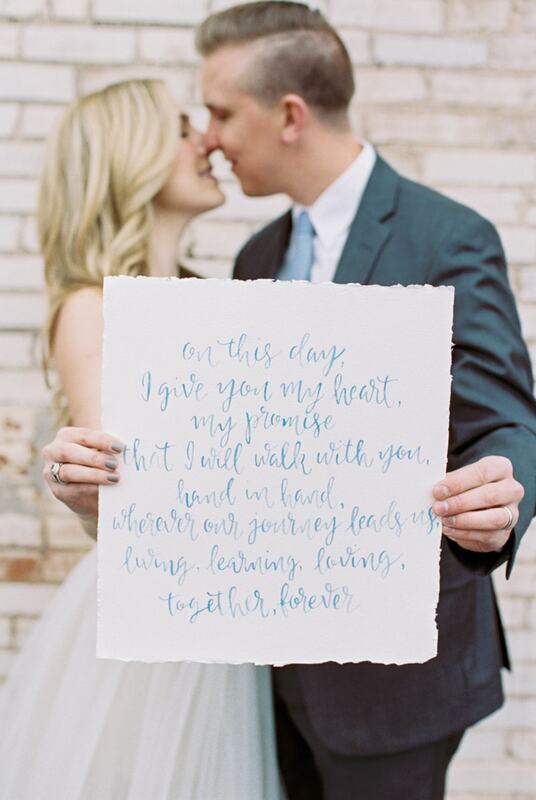 A watercolor calligraphy print of the couple’s vows is not only sentimental, it’s a charming keepsake for a one year wedding anniversary. The Mrs. wears a pair of peep toe heels with beaded embellishments to complement her strapless high-low dress. Her husband wears a sharp dark gray suit, which he shows off by lovingly wrapping his arms around his bride. It’s a subtle way to capture their collection of wedding rings, as well. The couple dances and celebrates on the rooftop with a light breeze afoot. The bride dons a dusty blue pashmina over her shoulders, reinventing the bridal look for her anniversary shoot. Her husband complements her with a dusty blue tie. They toast one another and celebrate their first anniversary, admiring the Oklahoma City skyscrapers from their rooftop vantage point. A sweet picture captures the couple presenting the print of their vows, a reminder of the promises they made a year ago. One last spin around the rooftop caps off this shoot as these two are well on their way to a life of love and happiness. There’s so much excitement and build up from getting engaged to getting married but there's no need to stop celebrating after the "I dos." 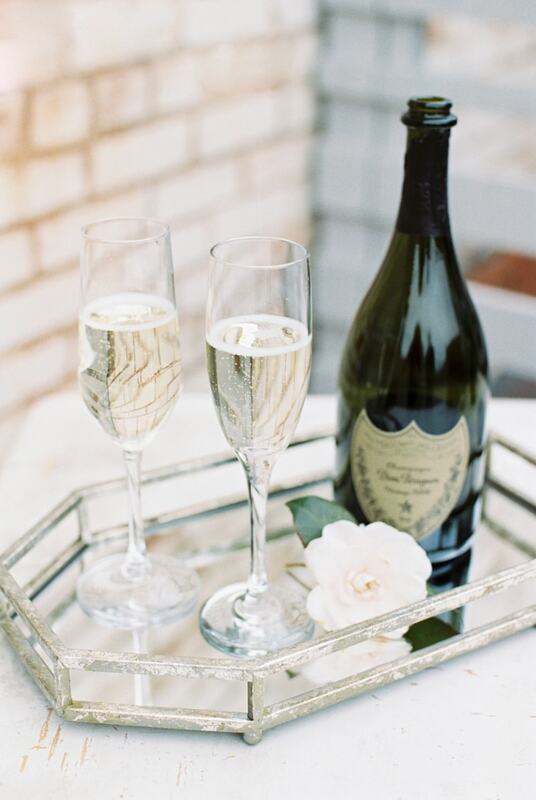 Whether's it's the first or fiftieth, get a photographer to capture your anniversary in a way that will have you reminiscing for years to come.